Discussion How to fix translations & locale issues? 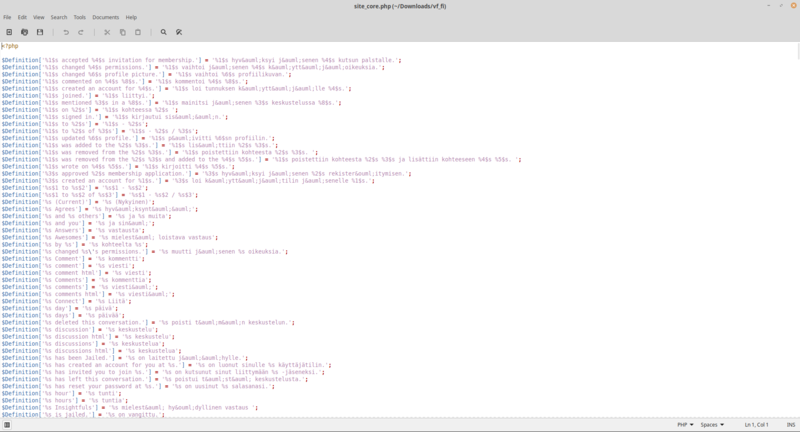 I added Finnish language to my Vanilla installation, and there are a few issues. 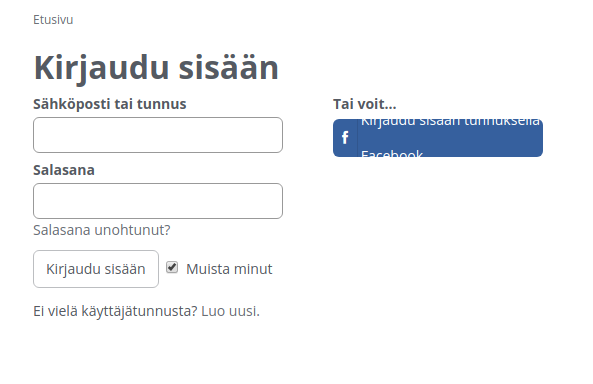 First, the Facebook login box is scrambled, because the text is too long. Where can I change this? Second problem I noticed is with the breadcrumb navigation, where the Scandic letters are not rendered correctly (Syöte becomes Sy&ouml;te) I saw this in some other places as well, but could not find it right now. I wonder if this is encoding issue, as the ä's and ö's are displayed ok elsewhere (as you can see in the screenshot). For the facebook button I guess you would have to make some CSS adjustments. The CSSEditor allows to easily toy around with, though you need some basic CSS knowledge. I tried to recreate that profile problem, but whenver I look at the breadcrumbs of an user the order is Home \ User Name \ Activity, Discussions etc. In your screenshot I would assume it translates to Home \ Profile \ User Name. Which page exactly are you looking at? I thought I could make a shorter translation for the Facebook button. But I'm not sure where to do this? You can create a locale file in a theme or plugin to override a specific translation string. Thanks charrondev, I'll try that.